Thailand, the land of smiles, is a magical country. If you have not been there before, there is a good chance it will happen someday. Why? Because Thailand is a beautiful place, where it is very easy to travel, even on a small budget. I went there 5 times, and I lived there for 9 months. I learned to speak and read Thai (beginner level, but still). I knelt the country from north to south. I scoured the most famous sites, and I got lost in lesser-known corners. Suffice it to say, I know Thailand well. There are still corners that I have not explored, but I intend to discover them soon. 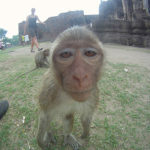 Moreover, it is because I get asked for advice about Thailand so frequently that I decided to create the category “Around the Word” on this blog. Unlike its neighboring countries, Thailand has not been involved in a war for a long time, and therefore tourism is very developed. No matter where you go, you will always find a guesthouse. There are buses to take you everywhere, and the roads are not too chaotic. Since it is a predominantly Buddhist country, people are zen and very welcoming. Moreover, they will always have the courtesy to answer you if you ask for directions, but that does not mean that they have understood you. So if you are lost, do not hesitate to ask for direction to 3 different people. Better yet, ask to be accompanied. Contrary to what most tourists believe, Thailand is not a third world country full of mentally retarded people. If you take the time to talk to them like normal human beings, they will be touched, and you will experience their kindness. They will not hesitate to help you or offer you a free meal. Furthermore, Thailand is far from being a third world country. Nevertheless, beware of tourists. They tend to think of themselves as the kings of the world during their stay there. 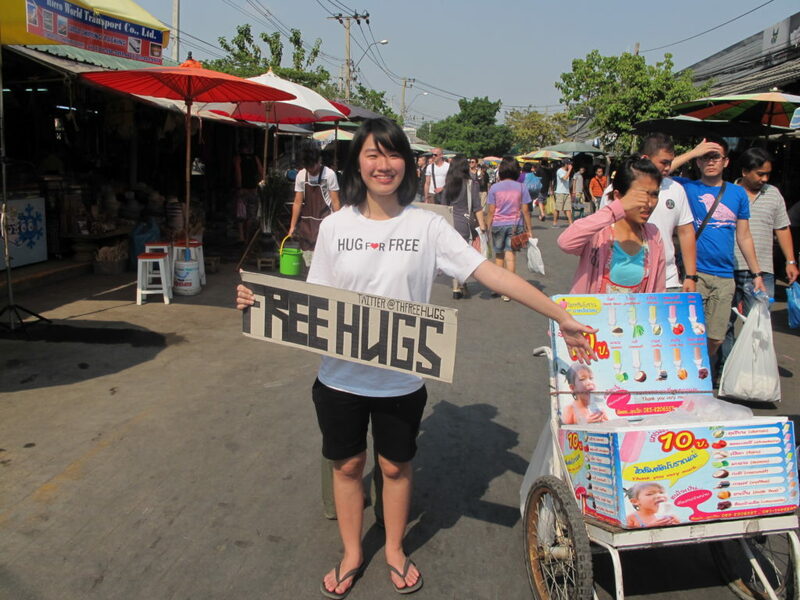 As a result, do not expect to meet very friendly Thai people in the more touristy places. Fortunately, some tourists are put back in their place from time to time, like Ryan Gosling getting disassembled in Only God Forgives. It’s not nice to see, but it’s well deserved. Remember that Thai boxing is a national sport. Get ready to laugh a lot. Thais have a strong sense of self-deprecation. I cry of laughter every day watching them go out in their pajamas, fall asleep on their motorbikes in incredible positions, draw eyebrows on their dogs, or have their beard shaved in the middle of the street. Moreover, they adore everything that is kawai. 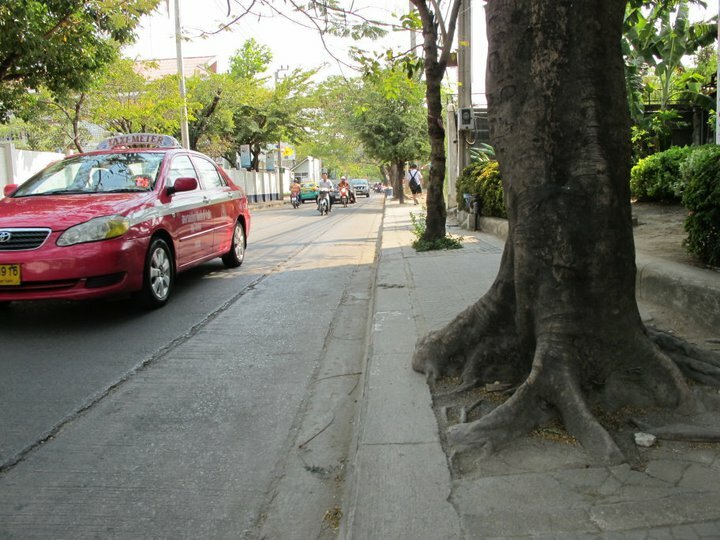 About the most unexpected things I’ve seen there, I still don’t understand why they have build sidewalks with trees in the middle as big as the size of the sidewalks. What to visit in Thailand? Thailand has almost the same surface area as France, roughly 514000 km2. This country has four bordering countries and is surrounded by two seas, the Andaman Sea and the Gulf of Thailand. There are flat regions, and others more hilly, so the landscapes are varied, and there are plenty of things to see. The northern region is much less touristy than the south because there are no beaches in the north. Yet the north offers wonderful scenery, temples to visit, and jungles to cross. Life is very quiet. This is the perfect opportunity to take meditation or yoga classes, or even to go on a silent retreat in a temple. One can go to the Thai mountains to rest, like in the hippie village of Pai, or wear yourself out. Between trekking, canyoning and rafting, there is no shortage of activities on offer. The south of Thailand is visited mainly for its paradisiac islands. They offer something for everyone. Some islands are very developed, some are wild, some are big, and some are small. Some are dedicated to parties, others to idleness. The choice depends on what you are looking for. Finally Bangkok, essential capital that lives at 200km/h. I love Bangkok. Despite its reputation as an indomitable city, I found my haven of peace, and I hope that I will make you love this city. If this is your first trip, you will want to see the temples and islands that everyone is talking about, but which ultimately are not so exceptional. In fact, if you go off the beaten path, you will discover small villages or incredible beaches that nobody knows, and there, your holidays will be unforgettable. As a rule of thumb: the lesser known an island, and the more beautiful it is. – Treks in the north to see “giraffe women“. Do not condone this zoo tourism that reduces other humans to circus objects. It’s just shameful. – Tours organized on elephants. It is well known that they are abused to entertain tourists. 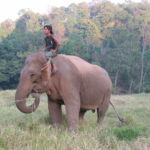 If you really like pachyderms, then choose to spend a few days in one of the reserves of the country. Some beautiful souls have opened these reserves to save the elephants that suffer the most, in order to give them a happier end to their life. – The Tiger Temple and other zoos. What is the point of taking a picture with a drugged and chained up animal?! I remember that about twenty tiger babies were found dead there a while ago. In fact, these temples are full of cubs in order to entertain tourists, but once these cubs grow up and they take up space (because tigers can grow up being somewhat large), they are simply shot. So, still want to pay 50 euros to give them the bottle knowing they will not live for more than a year? English is compulsory at school, so Thais speak this language, but their proficiency is comparable to that of French people. So, out of fear of not being understood, or not understanding, they prefer to avoid conversations if their level of English is not good enough. In order to decrypt their English, we must understand that the last syllable is always long, and that it is a language of intonation, which is not the case for French. Also, they cannot pronounce the letter “R”. So my name, Romy, becomes “Lomiii”. The neighborhood where I lived is called “town-in-town”, but it is pronounced “TAN IN TAAAAAN”. The Union Mall is called “LUNION MOOOL”. Learn some vocabulary, just for the sake of it. The women finish their sentence by “ka“, and the men by “kap“. The lowest price accommodation is affordable for everyone. In addition, if you stay at the same place for one week or more, you can benefit from very attractive discounts. The price of food is completely derisory. If you eat locally, a meal will rarely cost you more than one euro. For the rest, tell yourself that nothing costs more than 200 baht. If you buy a t-shirt more expensive than that, it’s a designer piece, or you are getting ripped off. Given the low cost of everything, you can really arrive with an empty backpack. You will find everything you need in a 7/11 at the corner of your hotel. Know that this wonderful store is open 24/7, and that they have everything you want for next to nothing, travel size or not. You can even buy a single yogurt, if you want to eat one. Genius! So do not clutter with a big bag, and buy that gift you need as you go. By the way, if you do not know what to put in your suitcase, here are my tips. But you don’t have a baht left ? The cost of life in Thailand is laughable, but it can quickly become expensive. The more touristy an area is, the more expensive it is. Especially life on the islands is much more expensive than in the North. The average price for a 1-hour massage is 200 baht. So get one every 2 days please! The problem is that, as nothing is expensive, we tend to have fun, and therefore consume more. If your stay in Thailand has cost you a fortune, it’s simply because you have consumed as if someone had announced the end of the world for next week. 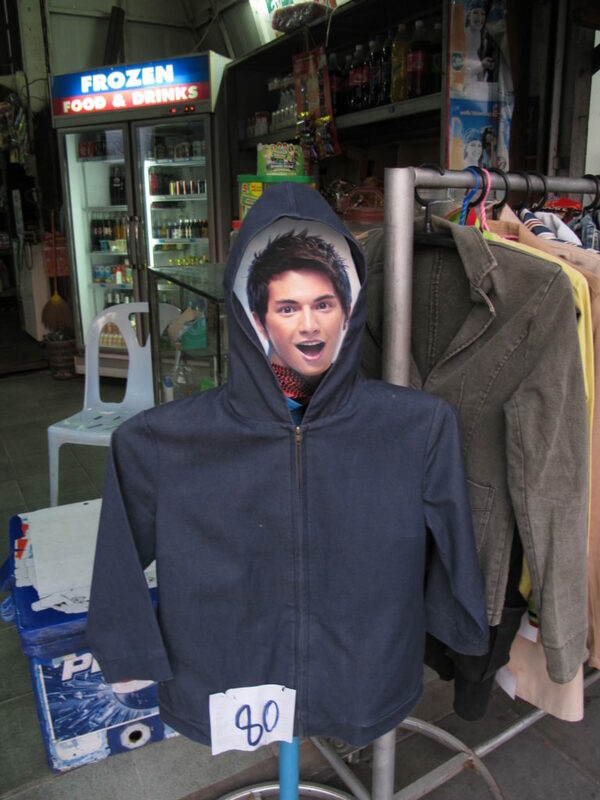 And before you go home, take advantage of low-cost markets to stock up on souvenirs. 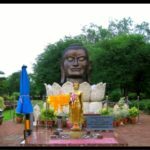 – The path to the north: Ayuttaya, Lopburi, Chiang Mai, Pai. – Chiang Rai and its region. – Nan province, the region least affected by tourism, and the most authentic. – The province of Loei, very popular with Thai tourists. Ideal for camping or hiking. 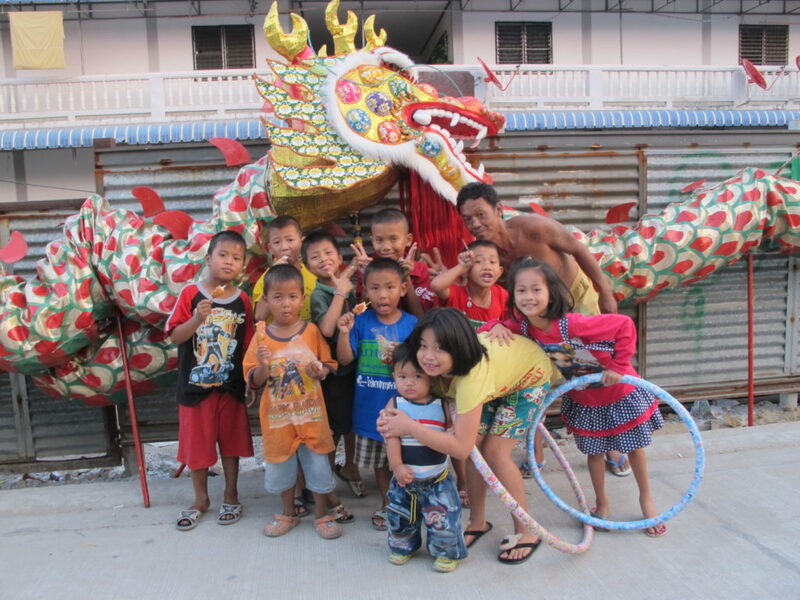 To see during the festival Phi Ta Khon, between March and June, dedicated to ghosts. 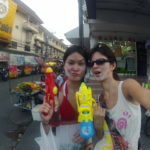 – Hua Hin, seaside resort easily accessible from Bangkok, very popular with Thais. – The province of Isan and the Khmer remains. – Erawan National Park, ideal for a few days’ walk, and to learn more about the history of the country. – Khao Sok National Park, for lovers of dense and wild nature. 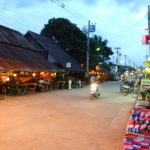 – Koh Chang, Koh Mak, Koh Kuud and Koh Kradat. These are islands on the border of Cambodia, less touristy, but very pleasant. Koh Mak and Koh Kuud are famous for their beauty. Koh Kradat is inhabited by deer (yes). – The border with Malaysia, and its incredible lagoons.